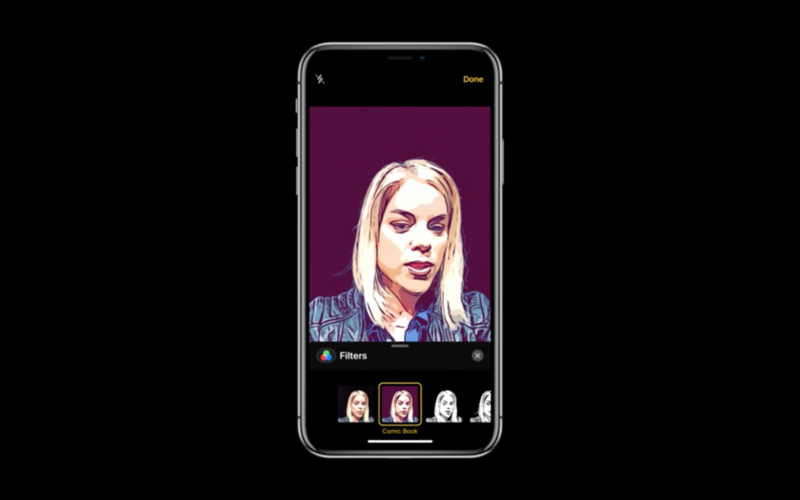 "We are bringing fun effects into the Messages camera." Tap to pull up the camera, then there's a little star on the left. Tapping on that gives new effects like shapes or text. There are also filters like "comic book." Or you can add stickers. A whole new way to use Animoji. You can apply it in the Messages camera live. Apple shares up less than 1 percent at 10:58 PT. "It's helped us deepen our connection with people closest to use, wherever they are. This year Facetime is going to take a big leap forward. Because today we're introducing Group Facetime." 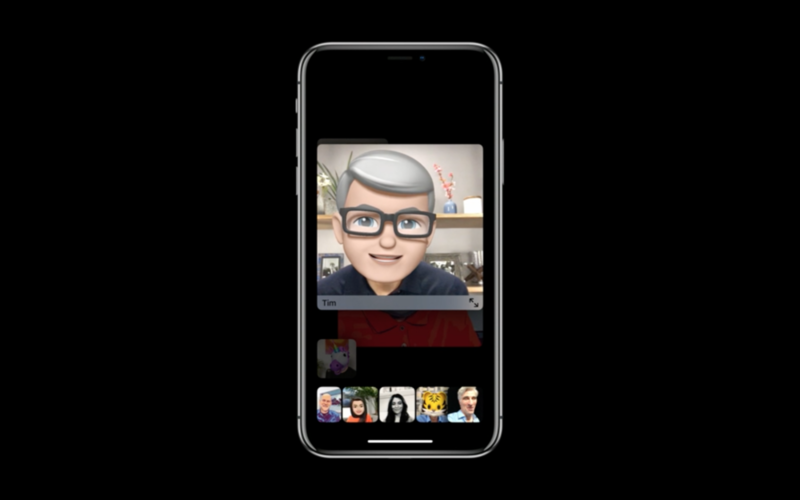 "You'll be able to FaceTime with 2 people, 3 people, actually up to 32 simultaneous participants." "Setting up a group call couldn't be easier. Instead of typing one person's name," you can type multiple. 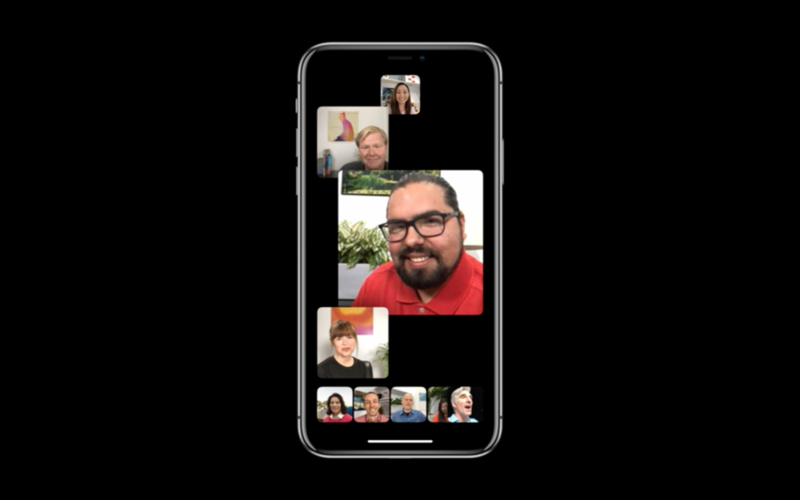 FaceTime is also integrated into Messages so you can go from a group chat into a group FaceTime, and people can drop out whenever they want. When one person speaks, their tile automatically gets larger and moves forward. 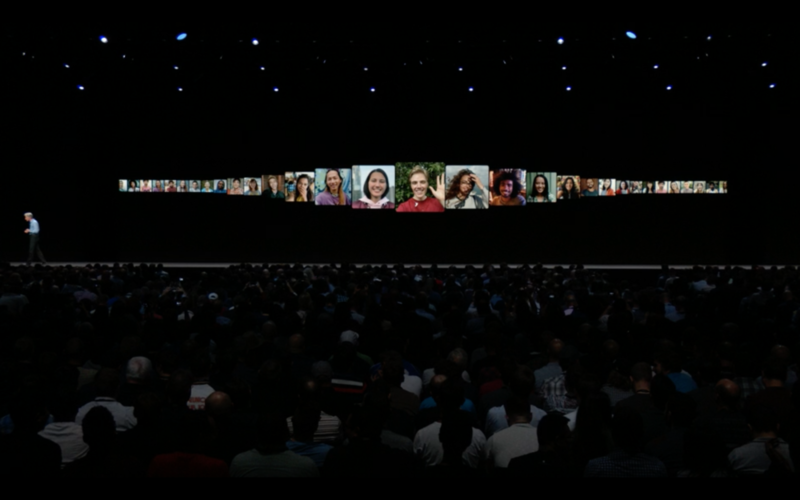 "We've also brought fun effects to the FaceTime camera. Have access to Animoji, filters and all of my sticker packs. and everyone else on the call can apply them too." "It works on iPhone, iPad and Mac, and you can answer in audio on your wrist on Apple Watch." "Next up, we'd like to talk about the Apple Watch. When we began development of the watch ... we had a vision of how impactful it would become in our lives." 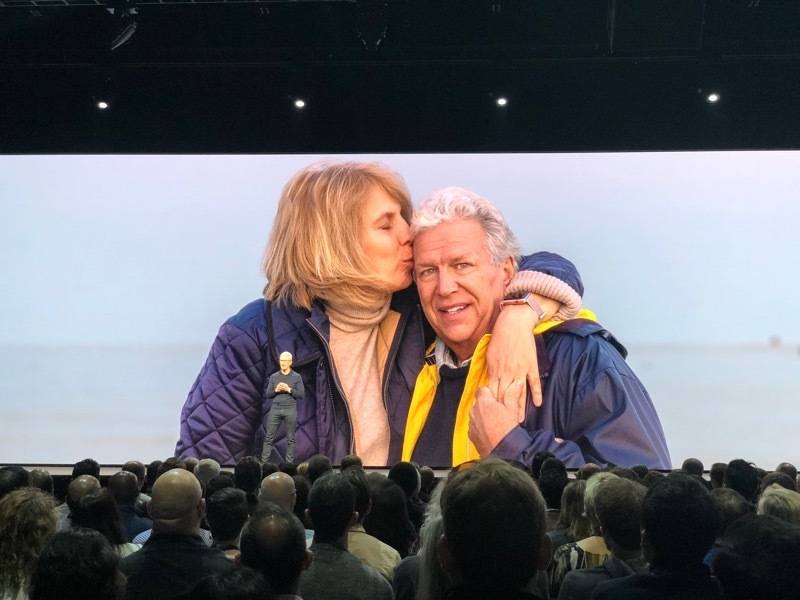 Cook is giving us a story about someone being saved by Apple Watch. "They range from getting people to be more active to helping users live a healthier life or even alerting users to an elevated heart rate." Heart rate alerts is something many wearables are starting to explore, now. 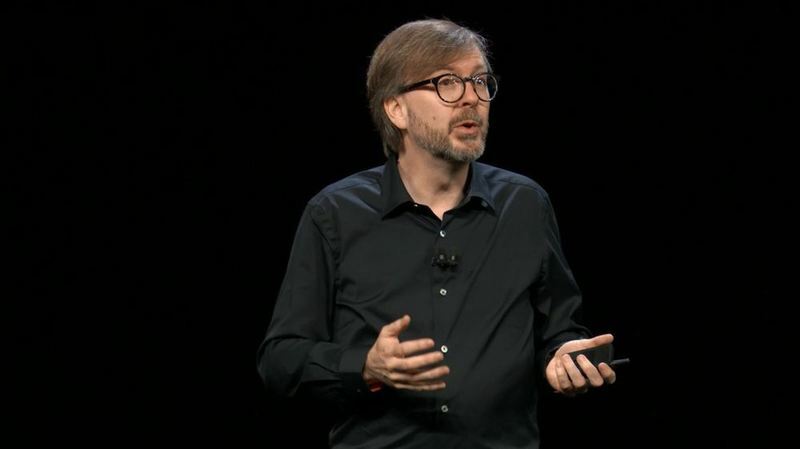 "At the heart of this is WatchOS. WatchOS 5"
"More ways to stay active and connected." Notes Apple works hard to make sure the data is accurate. "We take this information and work to integrate it seamlessly with the user experience." Activity tracker has daily coaching, challenges, goals, activity sharing, etc. "Many of you love the excitement of good old fashioned competition. 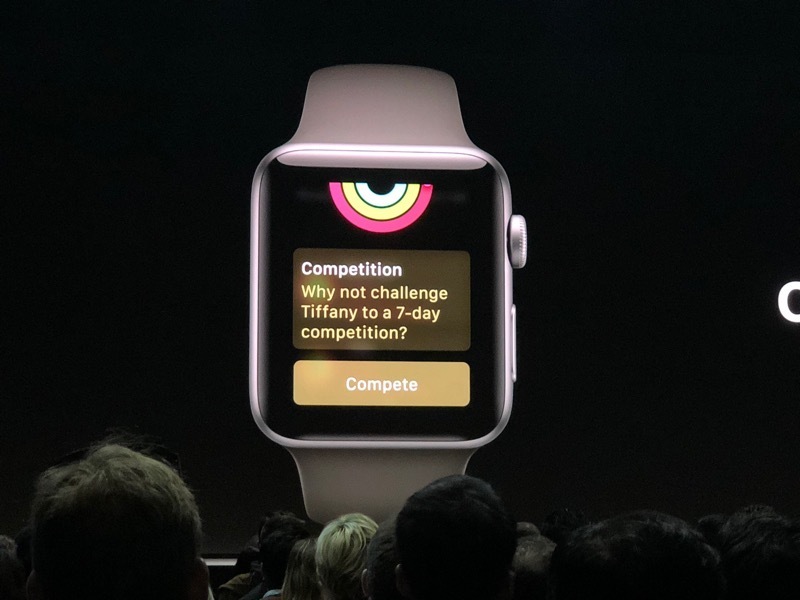 In WatchOs 5, can challenge friends to a 7-day competition whenever you want." "More enhancements to workouts. New workout type for yoga."